When growing up children start to dedicate time to activities out of home and spend more time with their friends. Pajamas Parties are organized by Samara United Methodist Church for the children to meet each other, strengthen relations, speak and hear about God in a relaxed atmosphere. The meetings are held during school holidays; the age of the participants is from 9 to 13. What should the children wear? Of course, as the name speaks for itself, pajamas! Just pajamas – the most colorful and funny. 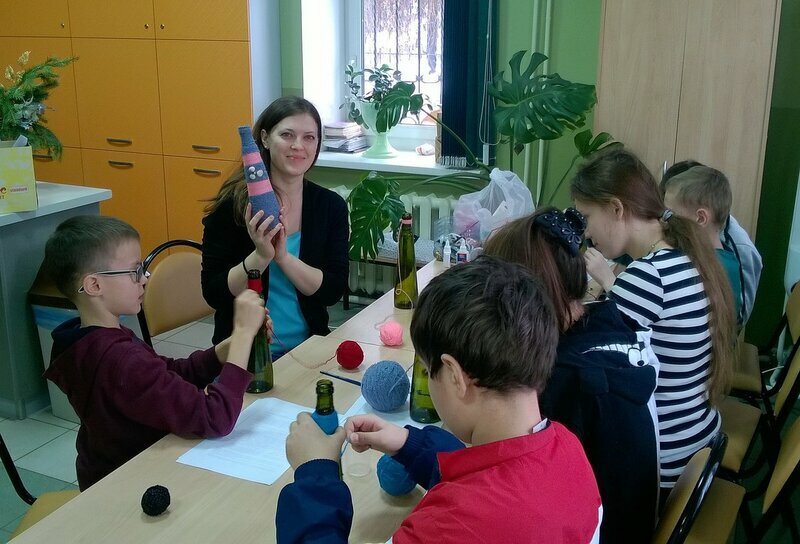 As for the entertainment part – we play together, watch movies and cartoons related to the topic of the party (for instance, “Christmas”, “Easter”, “Friendship”), we have various workshops where children learn something new and useful. However, since the main aim is to strengthen their faith, there is a worship part, bible class and prayer. One of the dearest moments of the party is the fireplace gathering. The children share their impressions, in a relaxed and home-like atmosphere they are speaking about their faith and share it with other participants. At their age the information from peers is more valued. Of course we provide nourishment to our children not only with spiritual but also with physical food. The whole community is supporting us. Some come to cook, others help with serving and cleaning up. The children and teenagers from our congregation are looking forward to the next Pajamas Party.